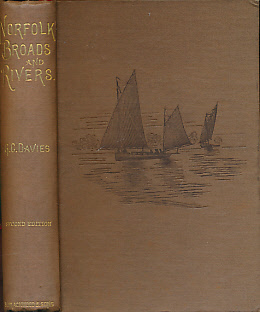 Barter Books : Davies, G Christopher : Norfolk Broads and Rivers Or The Water-Ways, Lagoons, And Decoys of East Anglia. 200 x 150 mm (8 x 6 inches) - viii, 328pp + ads. VG : in very good condition without dust jacket. Previous owner's inscription on fep verso. Foxing at edges.